The amount and color are enough to make a secondary difference or replacement. Candy colors: red, blue, green and yellow, make it easy to notice and not miss. 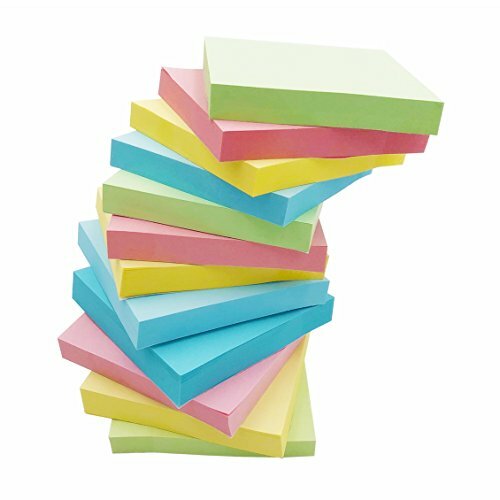 Easy to use, you can post on any surface, fridge, desk, wall, and so smooth and clean surfaces, and easy to remove. Offices, homes, and schools are used for all to-do and reminders, and even if they are busy, they won't miss another important event. Individual packaging, more convenient to store and use, and all the paper can be recycled, saving money and environmental protection. Easy to use and peel, no residue, can keep clean and tidy. If you have any questions about this product by AMNADOF, contact us by completing and submitting the form below. If you are looking for a specif part number, please include it with your message.